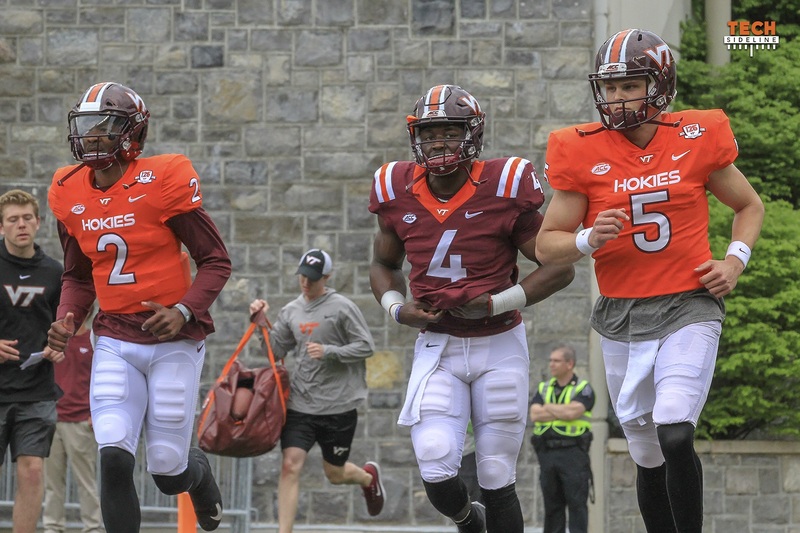 Saturday’s Spring Game has come and gone, and the Hokies ran well over 100 plays inside Lane Stadium. The offensive line was down a couple of potential starters, the defensive line doesn’t have all their guys in place right now, and in general the offense was fairly vanilla running out of a base formation. In other words, as we say every year, you can’t tell much from the Spring Game. However, one thing did become crystal clear to me during the course of the game. I want to talk about that, plus a couple of other smaller topics. I believe that the strongest, most talented position on the offense, and probably the entire team, is wide receiver. I think most of you would probably agree with me. Even though Eric Kumah decided he wanted to play in Conference USA as a senior, he wasn’t going to beat out Tre Turner for a starting role this year anyway. He’s a loss, but he’s very replaceable.